The Hasselblad X1D-50c is one of the more recent of the more affordable medium-format digital cameras to come out. And it sports Sony’s 50-megapixel CMOS sensor that has made these cameras much more affordable than their predecessors — all in a body that is by no small margin the most compact and portable in its class. The only question is can it perform? Just a few months ago, the X1D-50c finally started shipping. Backed by the same sensor as in the Fujifilm GFX 50S, Phase One IQ 350, Hasselblad H6D-50c, and Pentax 645Z, the X1D has some stiff competition and lands in the middle of the pack when it comes to price-point. That’s not to say its sensor will perform in the same way necessarily. Differences in processing and other tweaks every manufacturer makes still creates some variety, even with similar sensor technology. But they’re all in the same general vicinity in terms of performance. Because of its price, lightweight and compact size, and image quality, it could be easy to see how both higher-end medium format shooters and DSLR shooters alike might opt for something like the X1D. So we’ll consider this camera from both sides throughout this review. We wrote a first-look post a while ago, and little changed from those first opinions about the styling or general form-factor of the camera. The compact, mirrorless design makes this the most portable medium-format digital camera ever created. For these reasons, it at the very least ticks all the right gear envy boxes. The camera is gorgeous. Overall, it is incredibly well designed. The grip might look too aggressive to some, but in the hand it’s clear that it is perfectly carved out. This is the only one-handed medium-format camera I’ve seen — and it takes this title easily. For many systems, this might not seem of any great significance. But if you’ve never shot medium-format digital before, you should try some other systems and then pick this up. Systems like the Pentax 645Z are great, too. But they still feel like giant beasts compared to full-frame DSLRs, whereas a DSLR shooter could feel right at home at least in holding the X1D. The pop-up mode selector dial stays recessed when not in use so as to not be accidentally switched. This is a unique and elegant solution that I worried might not be as novel as it seemed in press photos, but that also soon proved me wrong as it provided practicality on par with any other solution in practice while simultaneously looking even better. This camera deserves some serious design awards, but that does not mean the design is without its faults. While most of the design is extremely practical, my biggest gripe (and it’s a big one) is the way that autofocus points are selected. 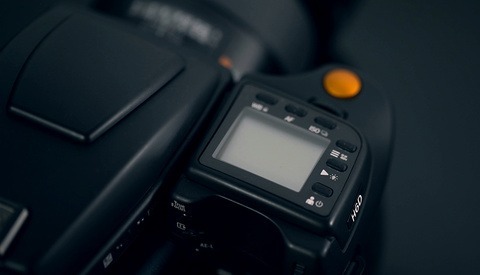 With the lack of a D-pad or any kind of multi-selector, don’t expect any kind of DSLR-style autofocus point selection. Instead, you have to take your eye off the viewfinder, bring up the autofocus points on the touchscreen, and touch to select a new point. The camera is now set to this point until you change it to another with the same process. 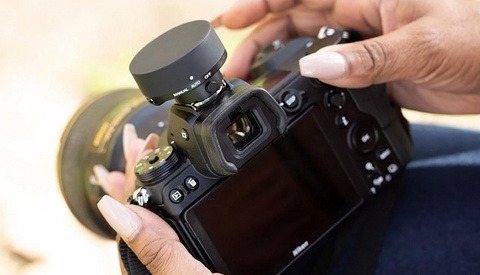 There is another option to use the command dials to adjust the position of the autofocus points once you bring them up (one dial covers horizontal movement and another covers the vertical axis), and this can be done both with the touchscreen or within the viewfinder. But it’s also as speedy and convenient as using an Etch A Sketch to select the focus point. Now, Hasselblad did just come out with a new firmware update that allows for use of the rear screen as a touch pad for autofocus point selection while looking through the viewfinder, but I was not able to test this since the update just came out (since we no longer have the camera for review). I imagine this would help a lot, but that it would still be very helpful and likely a better user experience to have a dedicated multi-selector button. This is really a bummer since it slows down the process and makes the entire point of selectable autofocus points obsolete for all but studio environments that keep the camera on a tripod, where it might be helpful to have a very specific point selected for accurate focus within a series of the same compositions. For a medium-format camera that I was hoping could feel a lot like a DSLR or full-frame mirrorless body, this is probably the biggest thing that keeps from being at that level of practicality. But practicality isn’t everything, and practicality is certainly not why you buy a medium-format camera. As for the rest of the design, it really is great. But I would recommend planning on treating this camera as other medium-format digital cameras before it when it comes to autofocus; just count on using the center focus point as your main focus tool. We’ll keep this short because there isn’t much here that beats current science or physics (and we just covered a good a bit above). It’s no secret that medium-format cameras focus more slowly and with greater difficulty than smaller DSLRs. 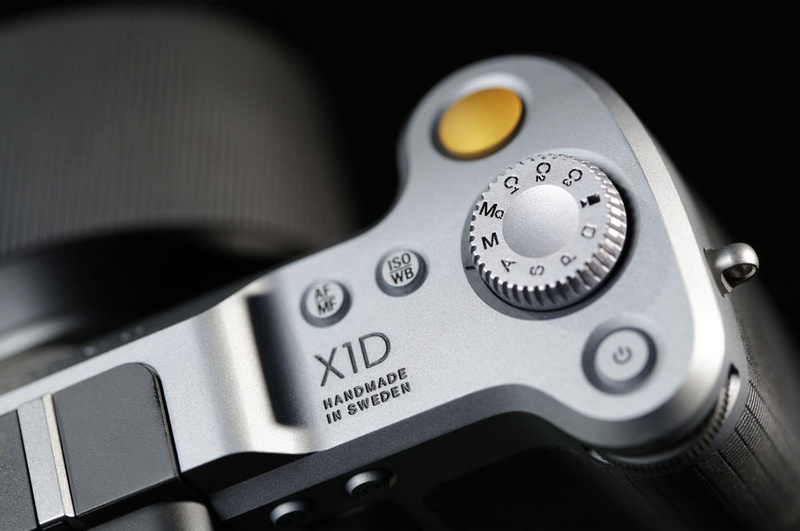 The X1D is no exception, especially with contrast-detection autofocus only. What does save it is the generally smaller lenses made specifically for this system. For the focusing that it does do, it is relatively quick. It’s not a Nikon 70-200mm f/2.8, but nor is it quite the same as the earlier H-series lenses that focus like the heavy beasts that they are. Still, there is some hunting as soon as contrast in the scene drops or when a smaller subject appears in front of a large scene. And every focus confirmation process requires a quick and slight focus past the optimal point and then a correction back before locking into place with accurate focus that is all too indicative of contrast-detect systems. Still, for what it is, it works well and is accurate once it locks in. As a quick note on the manual focusing, it’s true that you can grab the focus ring of these lenses as you can with many modern lenses to engage manual focusing at any time. However, what you will feel right away is the slightly disconcerting lag between the twist of the focus ring and the actual focus movement. Alas, this is a focus-by-wire system. You focus the lens, the lens tells the body how much you turned it, and it then makes the adjustment for you with the same motor used by the autofocus system. At first, this really doesn’t feel great. But in practice, aided by the great focus peaking in the viewfinder, I found myself defaulting to the system to capture some action shots of a runner running past me at a rather close distance. With something like this, you don’t have the focus speed and prediction capabilities of cameras such as the Nikon D5 or Sony a9. So I had to rely on manual focusing. And, to my surprise, it was doable. I wouldn’t consider it an amazing experience (it’s not a sports camera, after all), but if you need the image quality for something like this, it can work. Finally, we’ve arrived. This is why you buy a medium-format camera. Not because it’s more portable (although this definitely checks that box compared to some larger DSLR systems), not because it’s fast, and certainly not because it’s cheap. You buy these cameras to get the high, 50-megapixel resolution along with those still-large pixels. You buy it for the incredible 16-bit color that the little guys still can’t somehow manage to pack in. You buy it for the prints. And this — printing — is key. Unless someone is cropping every image by 50 percent or more (in which case, plan your shots better, maybe? ), it’s hard for me to hear people trying to justify why they need the Canon 5DS R, Nikon D850, or Sony a7R III if all they ever do is post online. For medium-format camera owners, there are gains to be had in color and highlight detail that I could possibly understand. But at the end of the day, it’s for large-format reproductions that these cameras really matter. Sure, printing big is arguably its own niche these days. But people still do it, and so should we all, really. But it’s important to know that the image quality this type of system provides is really for stellar print quality thanks to the triple-threat combination of great color, excellent dynamic range, and superb resolution. 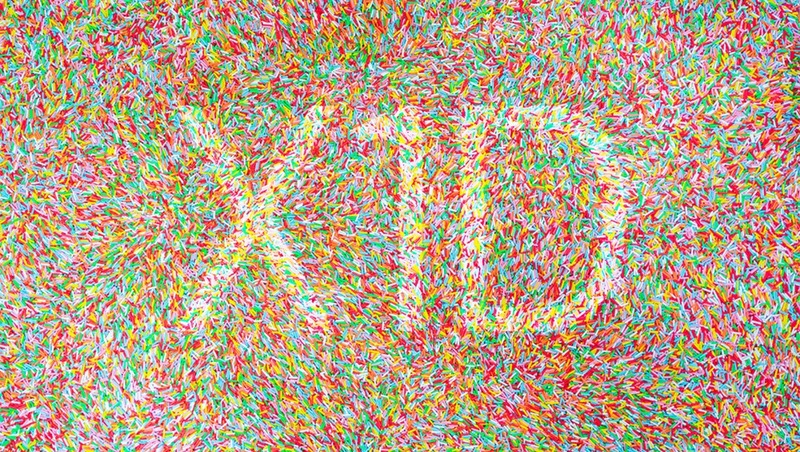 As one might expect, the X1D performs in this regard. With the lack of a giant mirror box, the X1D’s shutter barely vibrates or makes a sound. 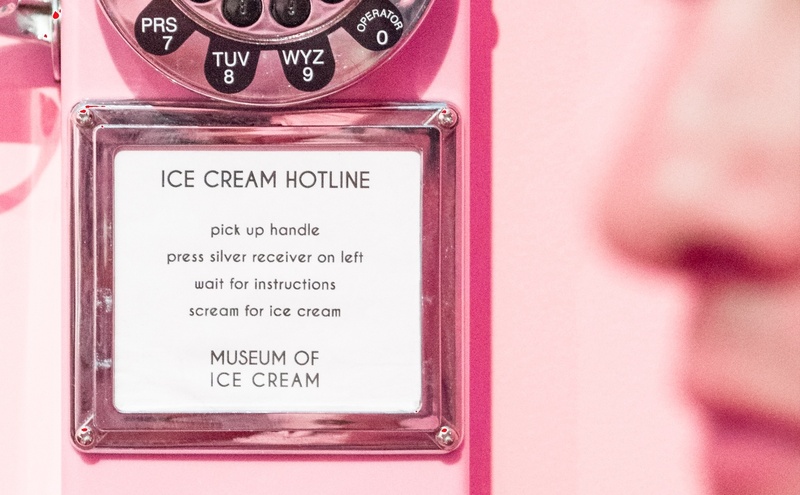 Some of those handheld Museum of Ice Cream shots (below) are shot at 1/40 of a second and are sharp. The sensor’s 16-bit color crushes any Nikon, Canon, or Sony camera out there. And I just keep hearing this mantra inside my head with every image I try to edit: highlights for days. The way that you’re used to bringing up your shadows with your digital files — the X1D can do that with the highlights, too. Other medium-format shooters are already used to this, but they appreciate just as much as you might every day. The image quality goes beyond the megapixels, however. 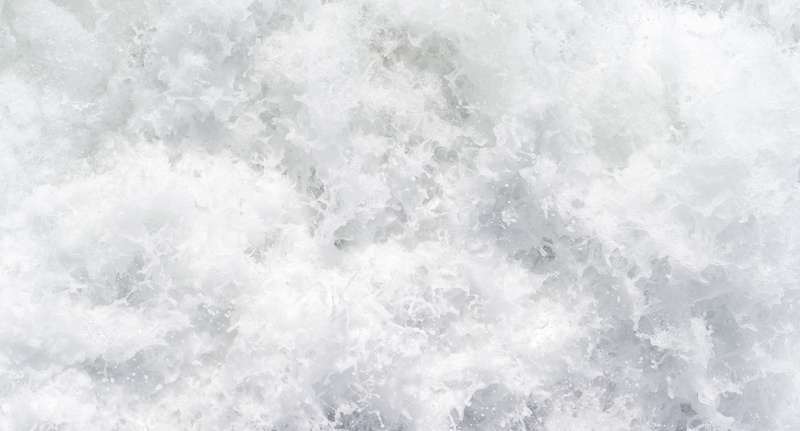 I’m shooting a project that essentially consists of shooting crashing ocean waves to create images that will be reproduced as large as possible. The ISO needs to stay low for quality, the aperture needs to be wide to let enough light in, but not so wide that the corners start to get soft because they’re out of focus, and the shutter speed as to be as fast as possible, but again not so fast that there isn’t enough light. This stretches every bit of available light and every ounce of quality out of the camera, not to mention we’re shooting highlights of white wash in midday sun. A lot of people will say that cameras such as the latest 50-megapixel DSLRs can replace a medium-format camera. And if resolution is all one cares about, of course, that’s true. But there is absolutely a difference between these cameras. You can see it in the prints. But even before that, you can see it when you’re editing at 100 percent. The only place you might not see it is online (but let’s try anyway, here). I have the D850 with me, too (review coming soon), so to put it the test, I decided to try out my project with both cameras. To prove it doesn’t matter so much online, one of the foam images above is actually from the D850, and one is from the X1D. But we’ll see if you can see which is which in the 100-percent crops below. These are edited, but with very similar changes. The Hasselblad has more dynamic range in the highlights, which lets you play with the contrast and more numerous shades in those highly exposed regions. Meanwhile, it's also sharper than the D850 files. Wondering about lens performance? The Hasselblad example is taken from the bottom right corner of the frame. Looks great to me. If there is any sharpness lacking, it is becuase of the limitation to the shutter speed, which is barely fast enough to freeze the water at an acceptable level at 1/2000 s.
As great as the D850 is, it’s pretty obvious that there is simply an entirely new level of detail in the X1D file compared to the Nikon. True, this almost looks like I’m comparing the D850 to a mirrorless APS-C camera. 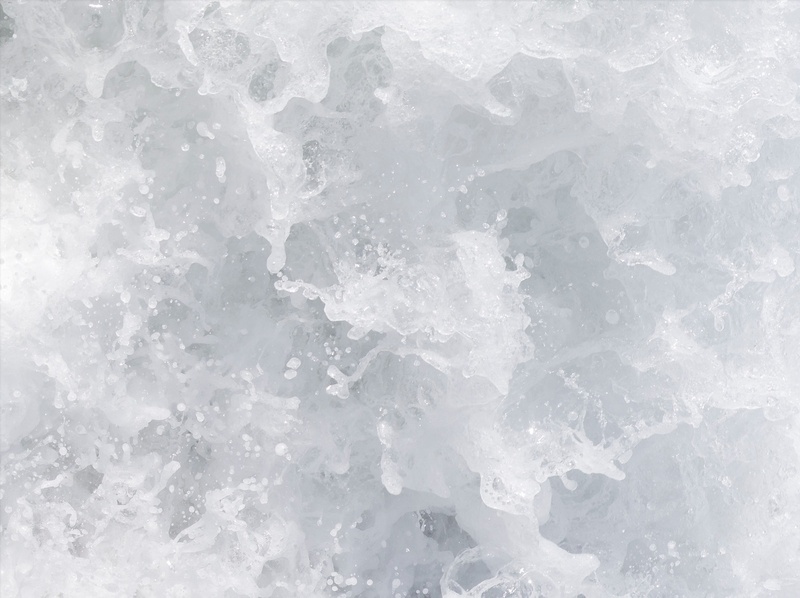 But we’re considering some of the top-end technologies here… it’s all going to shift your perception. But what isn’t shifted is the fact that medium-format sensors still have more than just relevance today. For many, they’re simply required. I could not print this project at the size I would want to with the quality I require from the D850 files. In fact, truth be told, I’m only printing the X1D files at up to 42 inches long. That’s simply a limit based on the combination of the X1D’s resolution and my personal limit for how sharp I want these images to be. So there’s even room to go on the resolution front. But again, the D850 with almost the same resolution just doesn’t produce the same depth, real-world resolving power, or details of these highlights that the X1D puts out. Tell me if you disagree, but it seems clear to me. You may even think the shutter speeds were faster or slower with one camera or the other or that I had the ISO shifted. And yes, I did change settings from ISO 64-200 (or 100-200 on the X1D) and shutter speeds from 1/1,500 s to 1/8,000 s (but only up to the maximum 1/2,000 s for the X1D). But there’s simply no way to get the full-frame images up to the level of those taken with the medium-format sensor. And that’s why you buy the X1D. Low-light performance on the X1D is great for a medium-format camera. As with the other sensors similar to this one, its CMOS technology lets it shoot at higher ISOs than previously possible with CCD sensors typical of medium format cameras. This lack of CMOS sensors is what gave DSLRs the edge in low light for years. But that’s no longer as much the case. The CMOS sensors also enable longer exposure times up to 60 minutes, meaning you can finally shoot proper long-exposures (although not quite never-ending start-trail shots, but astrophotographers stack multiple images together for that anyway). The X1D isn't meant to be an a7S, nor should it be expected to be. First, 50 million pixels is a lot to fit on a sensor, even if it is larger than full frame. Of course, these new 50-megapixel medium-format sensors are not “full-frame medium-format” either. They present their own version of medium-format crop-sensor cameras. But it’s still much, much larger than a 35mm sensor and provides all the benefits that come with a larger sensor. But this, among other things, means you’re not going to double your ISO performance overnight just because you have a larger sensor. Still, to shoot at ISO 6,400 is far from terrible. It might seem that way, however, when you buy these cameras to shoot them at the lower ISOs to get the best of those big two letters: IQ. Image quality, while still good at higher ISOs thanks to shooting a massive amount of data (over 100 MB per raw image, mind you), is still best observed in images shot at low ISOs with plenty of light. That will always be true. That’s physics. But it’s having the flexibility and not having to stay under ISO 400 as you had to with the CCD sensors that’s the real feature, here. The biggest surprise of all was still the dynamic range. This is important because I was admittedly scared to shoot at higher ISOs throughout my main low-light color shooting spree at the Museum of Ice Cream. It had everything to test what this sensor is great at as it was the perfect opportunity for low-light, handheld, colorful images. I stayed around ISO 400-1,600 for most shots and pushed my shutter speeds all the way to 1/40 of a second in some instances. Even shooting at maximum aperture, this was still too dark and required Lightroom corrections of up to +4 on the exposure slider (the main entrance shot, for instance). And regardless, the file held up extremely well for something that might have been shot at ISO 100. But it was shot at ISO 400. My mind was especially confused when some of the shots in the telephone room held together just as well despite having been shot at ISO 1,600 and having a post-processing exposure adjustment of +2 in Lightroom. Noise was extremely well controlled and very pleasing while the overall image was sharper than I had expected. Shot at ISO 400, pushed +4 in Lightroom for this 100-percent crop. Shot at ISO 1600, pushed +2 in Lightroom for this 100-percent crop. We’ve already covered that these cameras aren’t supposed to be fast. Check. But it is something that this camera takes over six seconds to start up. It’s not a flip-on-and-shoot street camera, and you won’t be getting ridiculous frame rates in still shooting, either. You should just leave it on if you need to react quickly. But that will also drain the battery, which doesn’t last the longest. And on a hot summer night of shooting concerts, you won’t see an overheating warning, but it might feel like you should. Also, I couldn’t seem to load a full-resolution image on the back of the camera. I would try to zoom in, and it would look like it would “try” to be sharp, but that the image I got was just out of focus a bit. Later on the desktop, I (thankfully) found the files to be superbly sharp. But not getting that feedback in the field was difficult at times. You have to trust in The Force with this one. These are the small issues that I’m not surprised by. But they’re something to keep in mind if you’re used to shooting a smaller-format system. Again, this is about image quality in an incredibly portable package. And on those two fronts, the X1D kills it. Extremely portable for medium format photography. Build quality is incredible. Did Jony Ive design this thing? Truly an incredible, solid hunk of machinery. 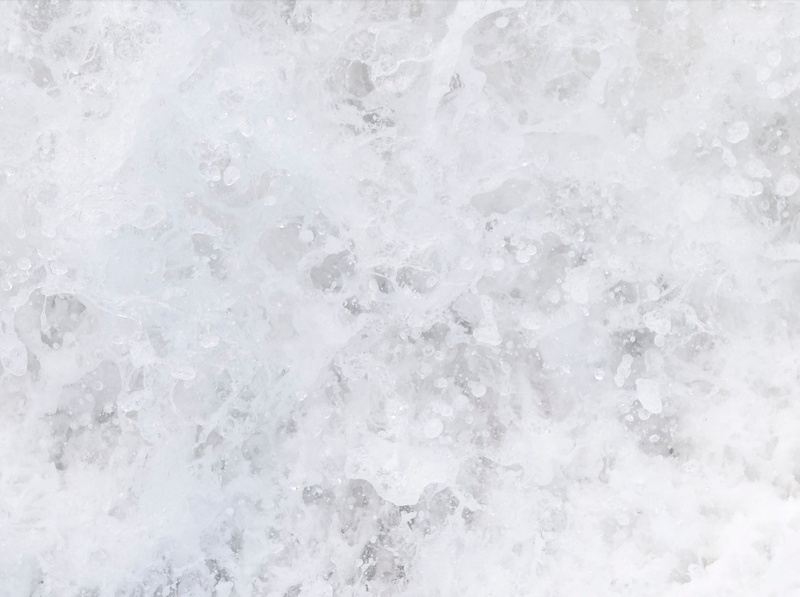 Great image quality (physics doesn’t lie: a bigger sensor makes a difference; it just does). Well-thought out ergonomics, grip, simplicity, etc. Battery has a great in-grip design with a safety catch, etc. Price is expensive, but middle-of-the-road for medium format; It might be especially worth it if portability is important. Lack of hardware-based multi-selector button for AF points. Mediocre contrast-detect-only AF is expected, but could be faster. Gets kind of hot in the hands in a warm environment or after a long session. Speed: startup time is slow, and would be nicer if operations were faster overall. Battery life, although this is expected with a compact body (and subsequently, also the battery) and a giant sensor with a ton of data to crunch for every shot. Price is still expensive once you add all the lenses, etc. It’s an investment. Of course, it has its drawbacks and is absolutely not a DSLR with a bigger sensor. While this first stab at mirrorless medium format is a great one for the photographer with a little extra cash that wants that little extra dynamic range, bit depth, and overall image quality in a compact package, its issues might keep others from pulling the trigger. Still, investments in lenses should be strong going forward as Hasselblad looks to fill out the XCD lens lineup, and an adapter for H-series lenses is on its way, which makes the X1D a no-brainer for current Hasselblad H-series shooters. Some of these issues might be worked out in firmware updates as many actually already have been (even as recently as a few days ago). And the rest are very reminiscent of Fujifilm’s and Sony’s issues with their early mirrorless cameras, so I have no doubt that an X2D could really be an incredible camera with increased speed overall. But that doesn’t mean this isn’t something that should be considered. So far, it’s the only thing that has been good enough to print for a first-run of my newest series. That’s the most telling part of this all. This law of diminishing returns thing is no joke. You’re not going to get twice the image quality from spending twice the money. How does one even measure that when so many parts of this process aren’t simply quantifiable on the same scientific standard? And it’s going to cost more to get that last five or ten percent out of today’s technology. But some people need that five or ten percent, and this isn’t a bad way to get it — not bad at all. Yes. It's hard to do apples to apples with these shots when each one is so different (some are more contrasty, etc.). But also, online, it's harder to tell for sure. In the prints, there's definitely more detail in the X1D file. Also, the Nikon files on their own are great. But they also (kind of in the areas where you noted look greenish/magenta in your edit) have a muddier range in the highlights when compared to the X1D. 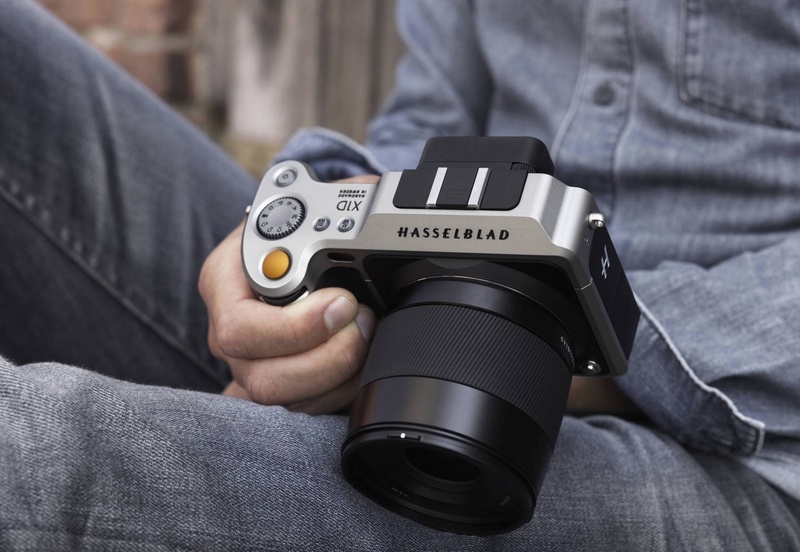 You mention the X2D this camera would not only have to catch up with the current crop of features and hardware but exceed them if Hasselblad expects to produce a serious contender! Biggest grips are usually compared to top preforming DSLRs something Leica learned quickly with their S system if you make a camera/ lens system that weights double or 50% more it better pack some revolutionary gizmos. To start off with the X2D dvelopement team needs to have freedom to peruse the accepted level of hardware in building the body. Crippling software, settling for inferior versions of screen, battery, EVF, buttons and or features would be detrimental to its success before even building it. Shutter speed of a minimum 1/4000 is needed 1/8000 is more in line with current competition. Releasing an instant on body loaded with 95% bug free software that creates a fast shooting (burst mode) camera, with a tilt screen and a long lasting battery allowing the user to capture images blur free is the goal. The current version is more like you own a beta version for a year that gets limited improvements as the years passes! That's an interesting take. For some of these things, I agree that I'm looking forward to improvements in a future body. Increased shutter speed at least to 1/4000 would be great (although 1/2000 for leaf shutters is really impressive — most top out at 1/500 or 1/1000 at best). But I don't see the need necessarily to get as complicated as having tilting screens, burst modes (it's still a huge sensor pushing through a ton of data), etc. I think these cameras are fine being a tad slower to actually shoot. But having the quality and always-ready capability of something with fast startup time, too, as you suggested, would really top off the package. 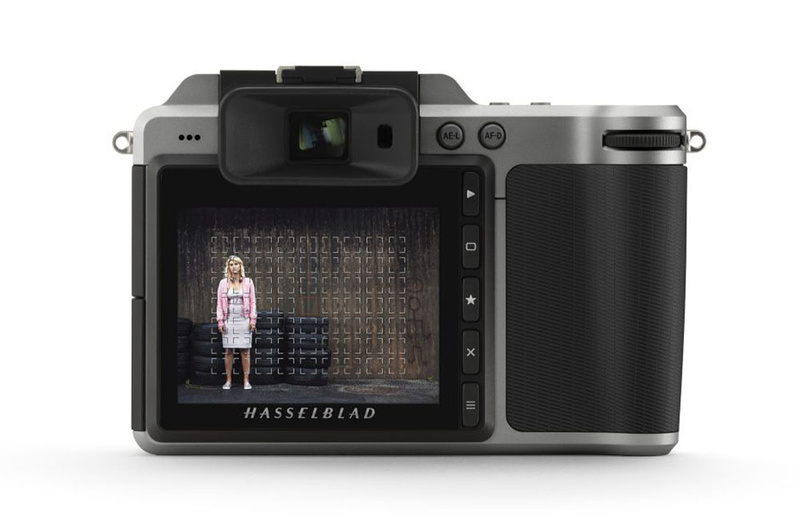 The latest firmware give the Hasselblad a top shutterspeed of 10,000 sec. However it is electronic only so no flash sync. Yes. This was actually for the firmware update previous to the one introduced last week. I did try this out, and it's nice to have. But with a slow readout speed from the sensor (as with all any camera with electronic shutter speed options), it's not usable for any moving subjects or handheld shooting unless you're really still. So it's nice that it's there, but not super useful outside of a studio/tripod-based setting. What firmware were you using? For a week we've had touchpad AF point selection and customisable buttons. Selecting an AF point is now as fast and easy as any other camera when using the EVF. Yes. I made a note that I didn't have the camera during this last week, so I didn't get to try out this feature. I didn't think it would be as fast/convenient/easy as a dedicated button/multi-selector. You think it's just as easy, etc.? Just curious about your experience. Obviously, it's great news if it is that amazing. Hi Adam. I have cameras with joystick selectors (XPro2, Leica SL). I see no difference in the speed of selecting a focus point between these and the X1D with the touchpad focus selector. 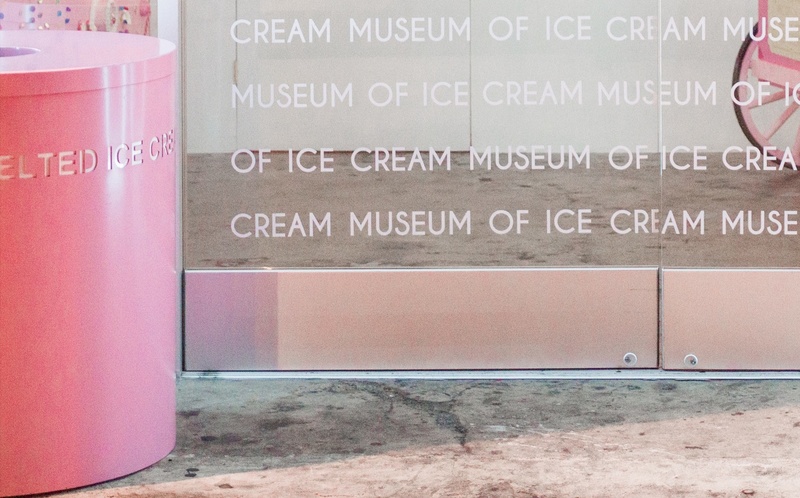 Love the Museum of Ice Cream photos, a smashing idea to test a camera. I certainly thought so ;-) Tons of color! Sorry you feel that way. To me, it's pretty apparent that one is relatively flat and the other has loads of detail/depth even in the brightest highlights. How does the sensor perform with mixed light sources ? I'm not sure about this, specifically. I think most sensors do what they do and record light as best they can as it comes through the lens. Those Museum of Ice Cream shots weren't necessarily in mixed lighting, but it was tricky lighting that was relatively uneven and quite dim — and the X1D did a superb job capturing everything available to allow me to make edits in post and save pretty much any file.